Have you ever wondered what you would see if you could examine the inside of your body under a microscope? Would you find traces of benzene? Mutated DNA? Or perhaps thinned or irritated cell walls along your colon or a small tumor you didn’t know about? Modern food manufacturers have at their fingertips thousands of substances to make our food taste better, look better, and last longer, but most of these food additives are synthetic. Or, they’re highly-processed versions of once-natural substances that have the possibility to wreak havoc on our bodies and our environment. Even the term “natural food,” which used to be reserved to describe fresh fruits, vegetables, and whole grains, is now slapped on items that include packaged and processed foods. How are we to sort through all the information to keep ourselves and our loved ones safe? In Part 1 of this article, which you can read here, we took a rather scathing look at five commonly-found food additives, and today, in Part 2, we’ll take a closer look at eight more. You may also recognize a few of these from our popular article, 7 Foods to Avoid. But first, there’s something important you should know. The most important ingredient in your real food journey is your JOY. Yes, it’s definitely important to know what’s in our food, to be educated and thoughtful consumers, and to be responsible parents who feed our children good, nourishing food. 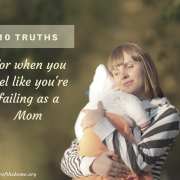 But even though I opened this article by pointing out the worst possible outcomes of eating synthetic food substances, let me reiterate what I mentioned in Part 1: At the end of the day, if you’re stressing about the artificial frosting on the cookie your daughter brought home from a party or losing sleep over the fact that you bought frozen pizza in order to have quick backup meals on hand, then it’s just not worth it. Do as much as you can while maintaining deep joy AND giving yourself much grace along the journey – it’s a fine balance, but after all, it’s the healthiest way to live. So first, let’s clarify a few terms. 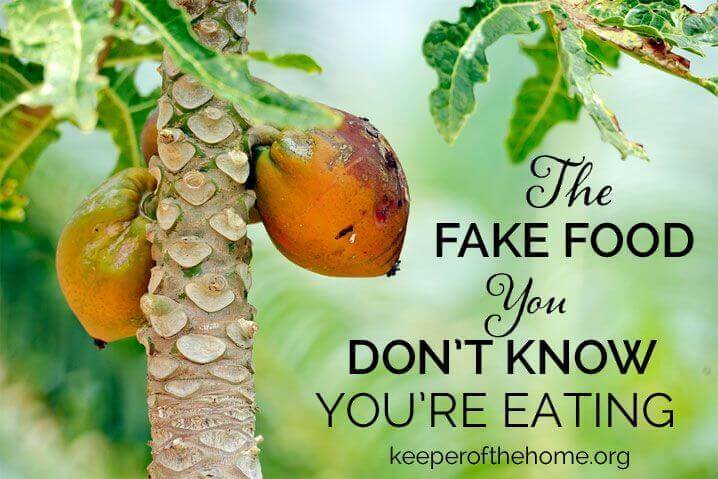 Basically, the best way to avoid fake foods is to eat real food! For the sake of this article, “real food” is merely food made from fresh ingredients that have been grown, caught, or foraged rather than manufactured. 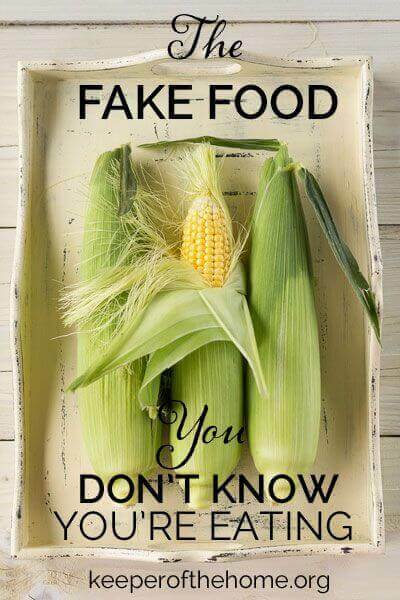 Or better said, REAL food doesn’t have ingredients, it IS the ingredients. Food dyes are ingredients that are used specifically to add color to a particular food or medication. For example, in food they’re used for everything from coloring sports drinks to candy coatings to making sure hot dogs look pink to coloring orange rinds perfectly orange. In medication, they’re most often used in children’s cough and cold syrups to accompany the flavor, such as Red #40 being used with strawberry or blues and reds in a grape flavor. 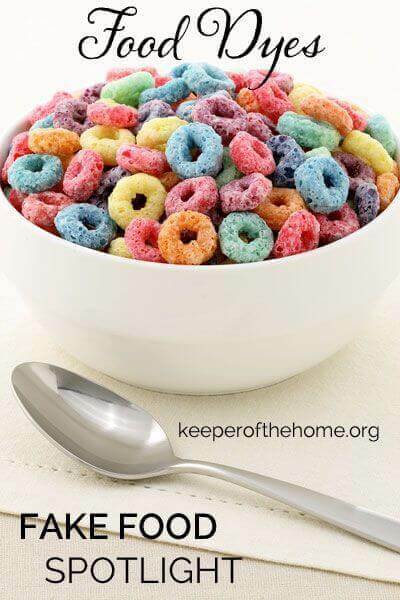 Most of the artificial food dyes used in the United States are petroleum-based. There are nine synthetically produced dyes approved for use by the FDA, three of which (Red 40, Yellow 5, and Yellow 6) are most commonly used. As a side note, “caramel coloring” is currently categorized as a natural colorant, but I personally consider it an synthetic colorant, as it’s produced by reacting sugars with ammonia and sulfites under high temperatures and pressures, which produces the by-products 2-methylimidazole and 4-methylimidazole, known carcinogens. According to various studies (linked above), the most worrisome findings about synthetic dyes are that they’re likely carcinogenic; they’re known to cause allergies, hyperactivity, and headbanging in a certain percentage of the population; and some are inadequately tested to be considered safe for human consumption. Not everyone reacts to food dyes, but for those who are sensitive, effects can be immediate. Also, the long-term effects are unknown. What’s especially interesting is that Great Britain has banned artificial food dyes entirely and the European Union requires complete transparency on food labels, yet items such as Kraft’s Macaroni and Cheese is sold in the US as well as both of those places. In the United States, the recipe uses synthetic food dyes, but in Great Britain and the EU, the same product uses natural food dyes rather than the synthetic versions. There is a petition to remove the artificial dyes from the US product, if you’re interested. Also important to note is that some children, especially those with an autistic spectrum disorder, can react to some natural food dyes as well. 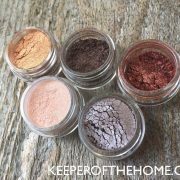 Annatto and carmine are the most common contentious natural colorants. At home, you can make your own food coloring easily. When purchasing food, reading food labels while making your purchasing decisions is the most effective way to avoid undesired food dyes. Choosing whole foods rather than packaged foods will make it easy to avoid food dyes as well. When eating out, ask your server if there are any pre-made or bottled ingredients in your order, and if so, to check the ingredient lists. Food dyes can show up in everything from farmed salmon (Red #40 is sometimes used to make the flesh appear pink) to condiments. 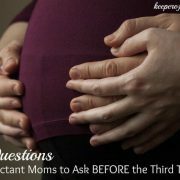 Be sure to tip them well for the time it takes them to find the answer for you, especially if they already knowledgeable or are especially respectful of your questions. Carrageenan is a thickening and emulsifying agent made from a red algae commonly called “Irish Moss.” It is used to improve and stabilize the texture of many common foods, usually dairy and dairy-substitutes. Modern carrageenan is an intestinal irritant, although researchers disagree to what extent damage is done when it’s ingested and if it warrants caution. Part of the confusion lies in that there are two different types of carrageenan – one of which is food-safe and one of which absolutely is not, although the latter of which also has no thickening or stabilizing properties when added to foods. It’s known that the NON-food-grade variety irritates the colon more than the food-safe variety, but several of the studies don’t list which type of carrageenan was used in the study, so thus the confusion. However, the nation’s foremost independent expert on carrageenan, Joanne K. Tobacman, M.D., is convinced that both forms are harmful to human health. In fact, she went so far as to claim that in the past, drug investigators actually used carrageenan to cause inflammation in tissues in order to test the anti-inflammatory properties of new drugs since it was so consistently a trustworthy irritant. And while inflammation doesn’t sound like that big of a deal, consider this: The unique chemical structure of carrageenan triggers an immune response in the body, rather than recognizing carrageenan as digestible. This immune response leads to inflammation as the body attempts to protect itself. For individuals who consume carrageenan on a regular or daily basis, the inflammation will be prolonged and constant, which is a serious health concern because chronic inflammation is a precursor to more serious disease, including inflammatory bowel disease, rheumatoid arthritis, heart disease, and arteriosclerosis, and is linked to some cancers and can be a precursor to diabetes. All that said, alternative health advocate Chris Kessler lays out an excellent argument for why carrageenan perhaps gets a worse rap than it deserves. Carrageenan is commonly used in dairy products (such as ice cream, eggnog, buttermilk, yogurt, and ultra-high pasteurized whipping cream), dairy substitutes (such as almond milk, soy milk, and coconut milk), deli meats, juices, dips, dressings, puddings, and frozen foods. 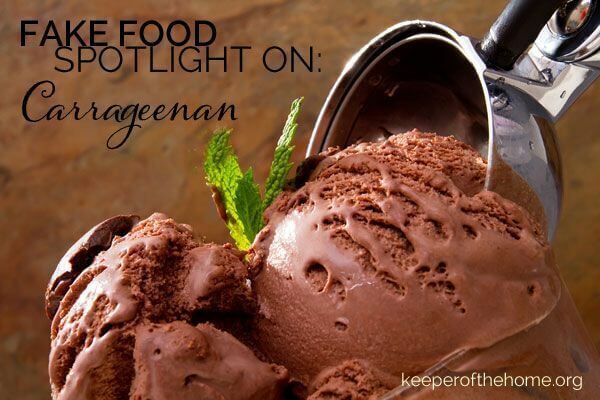 Carrageenan is one of the most common food additives on the market and it can be frustratingly difficult to avoid this one. Checking your labels is the sure-fire way to see it, but that doesn’t help if all the brands available to you contain it. In those cases, you can either do your research ahead of time using this handy shopping guide to see which brands use it OR you can make your own dairy products, dairy alternatives, and pantry staples at home. Also, my book, The DIY Pantry, has at least 40 recipes that replace typically-carrageenan-laced foods in addition to this list. Preservatives prevent the growth of molds, yeasts, and bacteria and keep foods from becoming rancid, browning, or developing black spots. They also suppress the reactions that occur when foods combine with oxygen in the presence of light, heat, and some metals. Namely, preservatives extend the shelf life of food products, enhance color and flavor, and maintain consistency and texture of foods across varying climates. There are currently more than 3,000 preservatives approved for use in foods in the United States, which makes avoiding them difficult, even if you buy healthy items, such as fresh produce, cured meats, or artisan breads. Here, we’ll focus on just six commonly used preservatives: BHT/BHA, sodium and potassium nitrate, potassium bromate, sulfites, sodium benzoate, and disodium EDTA. Please note: when I say “preservatives,” I’m referring to chemical or other artificial preservatives, as even sea salt acts as preservative – in fact, it’s one of the longest used food preservatives in the world! For the sake of this article, however, we’re examining common artificial additives that appear on labels to discern their safety and effects on our health. Butylated hydroxyanisole (BHA) and butylated hydroxytoluene (BHT) are added to many foods to keep oils from going rancid and thus prolong a product’s shelf life. The issue is the fact that they tend to oxidize (which is why they’re great preservatives), but in our bodies they basically oxidize our cells. Just like lovely leafy green, brightly colored fruits and vegetables are antioxidants that help heal our systems from trauma – BHA and BHT create that trauma and multiple studies suggest they are very likely carcinogenic. What’s worse is that BHA/BHT is not needed – other less traumatic methods can be used to prevent spoilage, such as synthetic vitamin E (which is still an synthetic additive, just better than BHA/BHT), safer processes (e.g., packing foods under nitrogen instead of oxygenated air), or can simply be left out (many brands of oil-laden foods, such as potato chips, don’t use any antioxidant). Nitrates and nitrites are preservatives that are responsible for maintaining a fresh pink color in red meats and for inhibiting the growth of botulism in cured meats, especially deli meats, hot dogs, and corned beef. Chemically produced potassium nitrite is also known as “saltpeter” or “pink salt” (not to be confused with Himalayan Pink Salt, of course! But don’t worry – saltpeter is dyed bright pink to eliminate any chance of confusion). 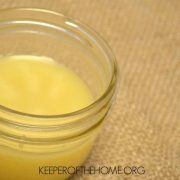 Its effectiveness as a preservative has been known since the Middle Ages, but there is much contention surrounding its use. First, nitrites are documented to be a possible trigger for migraines. There is also widespread concern that when foods which contain nitrites are exposed to heat, such as bacon and hot dogs when they are cooked, OR when they are placed in an acidic environment for extended periods of time, such as in the stomach following a large meal, carcinogenic N-nitrosamines are formed during those processes. However, proponents of using nitrites often point to the fact that nitrites are naturally occurring, with MORE nitrites occurring in beets and celery than are used in conventional cured meats. And to add to the confusion, there is at least one study that has discovered that saliva that is high in nitrites actually helps form a protective gastric-mucosa layer in the colon during digestion, which is missing when no nitrites are present. Also, nitrates are vasodilators, which increase blood flow through the body. And therein lies the heart of the debate, and where I, as an author, choose to make the distinction: the vast majority of ill-health claims linked to nitrites, such as migraines and the formation of N-nitrosamines, follow the eating of foods using chemically-produced nitrites, whereas naturally-occurring nitrites, such as those from vegetables and those naturally created in the body, don’t tend to trigger the ill effects, yet still create a positive gastric effect. The same is true with the formation of N-nitrosamines – foods using chemically-produced sodium or potassium nitrite produce a much higher amount of nitrosamines during cooking than do naturally-cured or naturally nitrite-rich foods. The latter still produce some, but not in the same quantities. I wasn’t able to find any studies that showed clearly why this might be, but it makes sense to me nonetheless. Verdict: Avoid conventionally cured meats if possible, especially if you struggle with migraines or deal with any sort of disease dealing with the blood, the heart, or circulation, and avoid all sources of nitrites, both natural and chemically-produced, if you feel ill following consumption. Otherwise, choose meats cured with celery juice or another naturally-occurring source and eat them in moderation. Potassium bromate is a powerful oxidizing agent that enhances doughs and creates a homogeneous crumb structure, resulting in soft, fluffy breads. It is considered a category 2B carcinogen by the International Agency for Research on Cancer (IARC) and has been banned in Japan, Canada, Brazil, and the European Union, among others. It is legal in the United States, but must be declared on the label in the state of California. For most people, sulfites are largely no cause for concern. In fact, the first documented use as a preservative was in 1664! Like table salt, when consumed in moderate amounts in healthy persons, these inorganic salts can be metabolized without issue. However, for people who are asthmatic, anaphylactic, or have other food or environmental allergies, sulfites can trigger difficulty breathing, headaches, rapid heart rate, anxiety, hives, severe cramping, nausea, or other similar symptoms. Thus, the FDA now requires labels to include the words “may contain sulfites” if sulfites are present in any form (naturally occurring or otherwise). Verdict: Avoid if you know you’re sensitive to sulfites. Otherwise, don’t sweat it. Sodium benzoate is a synthetic chemical produced when benzoic acid, which is found naturally in some fruits and spices, is combined with sodium hydroxide. Sodium benzoate is one of the most common preservatives, especially in foods with a high moisture content, such as soda drinks, fruit juices, salad dressings, pickles, and children’s liquid medications. It’s also an effective agent against corrosion, so it’s one of the most common ingredients in automotive antifreeze. And even worse, at least one study found that sodium benzoate significantly increased damage to DNA itself when it was added to cells in various concentrations. This is serious business, as damaged DNA is what triggers cancers, cell mutation, and can be especially harmful to babies in vitro, since their cells are just being formed. Ironically, the next preservative on our list, disodium EDTA, is sometimes used to prevent benzene from forming by interrupting the chemical reaction between sodium benzoate and ascorbic acid. Verdict: Go out of your way to completely avoid sodium benzoate and other benzoates, especially if you’re pregnant. Modern food manufacturing often involves a lot of machinery, including rollers, tampers, blenders, and metal containers (e.g. the cans stacked in your pantry). 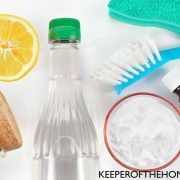 These items can leave trace amounts of metals in your food as well discolor your food, so disodium EDTA is added to the food to preserve color and to act as a chelator – that is, a chemical that draws metal to itself and bonds with it. Overall this is good, as those metals are ushered out of our systems. However, EDTA can also bind with needed minerals and nutrients and usher them out too, especially Vitamin C, iron, calcium, and other essential nutrients, disturbing your gut bacteria and leaving you with a compromised immune system. The Center for Science for the Public Interest lists EDTA as “safe” and states it can be consumed without worry, but there are those for whom it can cause an allergic reaction, such as asthma and skin rashes. Verdict: Avoid if possible. Otherwise, don’t sweat it. Sulfites: Dried fruit, beer, wine, processed potatoes, fresh cherries, bottled lemon juice, shrimp, and lobster. No ADDED sulfites may be added to wine in order to be USDA Certified Organic, but natural sulfites may occur. Sulfites are not allowed to be used on meat, as they can falsely make the meat appear fresher than it is. First and foremost, read labels! Here are a number of great tips for how to read food labels. 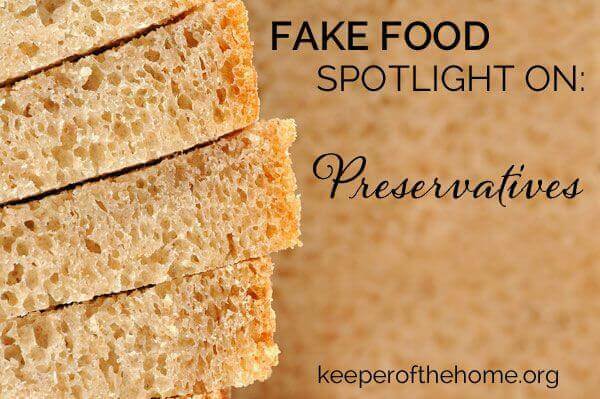 What food additive or “fake food” concerns you most? What is the most surprising ingredient you’ve ever encountered? Also keep in mind that some of the ingredients you would prefer to avoid do not need to be labeled due to some FDA loopholes, or rules. Many dry packaged snacks, cereals, chips, etc, the packaging itself is sprayed with BHT and does not need to be labeled. The same is true for the oils or coating that are used on bakeware or pans (store bought bread for example), the ingredients do not need to be labeled. Some milks with the vit. 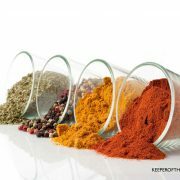 A and D mix is preserved with BHT and does not need to be labeled, as well as some annatto coloring is also preserved. The Feingold Diet will let you know which brands of food do not contain the synthetic preservatives in such items. So sadly, just reading the labels is not enough if you want to, or need to avoid some of these nasty ingredients. So true! Thanks, Wendy, for a needed reminder. One question – I didn’t link to the Feingold site in the article because their information seemed very scattered around the site. Do you by chance have a link you use regularly to look up ingredients? Such a resource would be helpful to all of us! Thanks for this article! It is very difficult to decipher this info in the research. I love this series, Kresha – you’ve done a fabulous job of outlining all the important details for those who really want to go to the next level. Definitely sharing! Gooooood stuff. Not the food additives, but the article’s content…. 😉 Thanks for sharing Kresha and Stephanie.